Step 4. Finished with these settings, we’ll proceed to Scheduler component. So, the next step is to download dhtmlxScheduler. Open config/initializers/assets.rb. We need to add the style sheet and dhtmlxscheduler.js file to the precompile array. Step 5. Open app/views/layouts/application.html.erb. This file is a template for all the pages that have common elements. Step 6. In this step we open app/views/home/index.html.erb, the file that is used for a view for our home controller. It will display the scheduler. If we run the server now, we should get our scheduler. Event.create :start_date => "2015-05-22 10:00:00", :end_date => "2015-05-22 15:00:00", :text => "Test"
For exit we use “exit” command. Step 11. 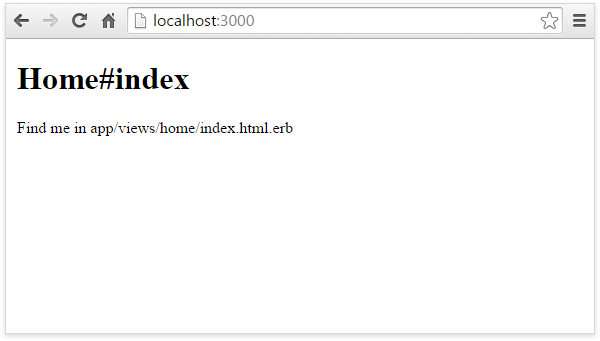 In this step we open app/views/home/index.html.erb for adding data loading from the server. It’s important to set scheduler.config.xml_date for correct dates parsing. If everything is done correctly, the data loading should be successful. match "home/db_action", :to => "home#db_action", :as => "db_action", :via => "get"
Step 14. To save the changes in scheduler we need to use DataProcessor. Open app/views/home/index.html.erb. match "home/db_action", :to => "home#db_action", :as => "db_action", :via => "post"
Well, this is everything you need to start using dhtmlxScheduler with Ruby on Rails. The second part of our tutorial that will show you how to set recurring events in dhtmlxScheduler with RoR will be released in a week. Stay tuned! Icons doesn’t work on Rails 4.2. Can’t load from assets. Bugs in dhtmlxscheduler.css. Flat file make unavailable to fix. Have you unpacked your images like mentioned in tutorial? I’ve tried on rails 4.2.5.1 and images were loaded correctly. I’ve unpacked all files correctly. I have no idea why it wasn’t work. I had to abandon this for another product. What is the difference between using “get” or “post”? Whichever I use results in the data getting stored in the database. Is there a repo for this example? And … does the model have to be called ‘Event’, or is the name irrelevant? Yes, the model name is irrelevant. What I am hoping to happen is that the fields appear on the front end when I create a record manually in the DB, and for that error not to be present. I have used ‘bookings’ as my model rather than ‘events’ as shown in the tutorial. If you could cast your eye over it, it would be much appreciated. Trying to get a demo up for a client so they can approve and they can buy a licence.